If you are a regular on Google's social networking experiment Google+ you have noticed that the company makes changes to the site constantly. Sending messages to other Google+ users was something that you could do in two ways in the past. 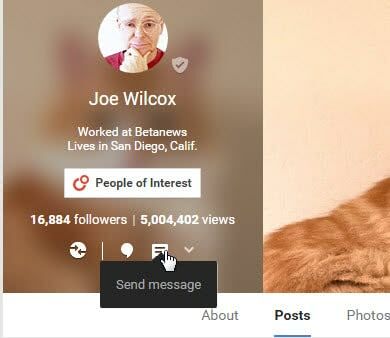 You could use the send an email option to contact a Google Plus user via email, or write a message on Google+ and restrict the visibility of the message to that single user. This was not the most comfortable thing to do but the only options to send private messages to another user on Google+. Users receive notifications if they are the sole recipient of a direct message on the social networking site. To send a message to just one user on Google+, one had to remove the public visibility button and add the individual manually to the list of recipients. The recipient could reply by re-sharing the message with the sender. Google yesterday made a change to the social networking site that makes it easier to send individual users direct messages. Update: Google modified the location and design of the feature in recent time. It replaced the send message button with an icon that you need to click on instead. Users need to click on the name of the user or organization that they want to contact directly. 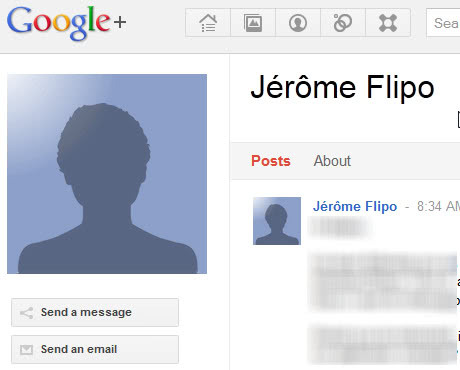 This opens the user profile on Google+. 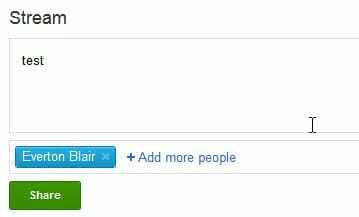 The new button send a message has been placed directly beneath the profile picture of the user. A click on the Send a message button opens the share a message form in an overlay on the screen. It is practically the same form that you would have used in the manual process. The recipient is already included and all that is left to do is to enter the message, add other elements such as links, videos or events, and click on the share button. The option to share with just one user on Google+ is still available. Some users may prefer the manual way as it can be faster than loading the user's profile and clicking on the Send a message button. Have you used Google+ yet? What's your impression so far? 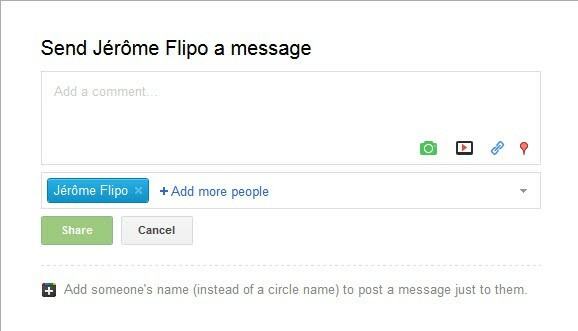 That only works if the recipient, let’s say Jerome Flipo, has enabled the function. If not, the ‘send a message’ and ‘send an email’ buttons will not appear under his photo.